Matthew: Well, perhaps any responsibly nerdy review of this film's writing should mention "The Changeling." Clearly, there is a direct line of inspiration - ancient Earth space probe goes wayward, is salvaged by some sort of super-powerful race, is sent along its way, fulfilling a somewhat bastardized version of its original mission. In the process, said probe ends up in a search for its unknown creator, which naturally turns out to be mankind. OK, so, obviously, this story bears some sort of relation to the previous one. Is that a crippling flaw? I'm going to say not. It's a great sci-fi idea, and great ideas bear repeating. We certainly get a different manner of the basic tale unfolding, with different characters, different (and greater) perils, and a different mystery element. I don't think this film suffers, and I wouldn't call it "Where Nomad Has Gone Before." It's interesting in its own right. Kevin: I agree. Eighty episodes is enough to cover all the basic concepts, so almost no true sci-fi plot couldn't be called a retread of some kind. I personally would have liked, and I think Matt mentions this in the podcast, but a quick mention of Nomad may have been fun, at least for the fans. Judging the sci-fi story on its own merits, we get a damned good one. The central theme of the film is the search for knowledge, the quest to understand the nature of existence, and the unexpected consequences of what we find. There pretty much couldn't be a better summation of the Enterprise and her mission. Matthew: Outside of the sci-fi tale, we have a tale of characters. Kirk, Spock, and McCoy are estranged form each other. Has time passed them and their friendship by, or can they recapture some of the old camaraderie? This element of the tale could have been more successful than the sci-fi story. I felt involved in the characters' interactions, but there were too few of them for my taste. It was nice and clever how their stories (especially Spock's) melded with the over-arching V'Ger story, but cleverness doesn't necessarily equate with being a moving emotional story. The best scene in this vein was in sickbay, as Spock was describing V'Ger's emotional deficit to Kirk. Kevin: What elevates this movie for me, even over the pacing problems we discuss below is the way the science fiction story is played out in the characters' stories. Like Matt said, Spock is the obvious beneficiary of this tie in, but you can see Kirk's quest for command and Decker's need for validation in the same way. They are trying to figure out how to fit into the world around them, especially when the world isn't exactly helping them along. I agree it could have been better developed and I certainly would have traded twenty minutes of the trip through V'Ger for a few more conversations, but the attempt is noble, and it shows the appropriate respect for both the audience, and the franchise. Matthew: The Decker/Ilia aspect of the story felt unfortunately half-baked. But considering that these were to be recurring characters in a new TV series (Star Trek Phase II), we can imagine a movie that had ONLY the elements of Riker/Troi that were present in "Encounter at Farpoint." Obviously, it will come off as half-baked. It ended up being a bit hard to care about their relationship, because it was never consummated for us, and didn't last long enough to become familiar and comfortable like the "Imzadi" relationship from TNG. Kevin: Given the time constraints of a movie and the fact that we aren't going to see them again, it's hard to get invested, though there still could have been a few more scenes to develop the relationship. That being said, the scenes of Decker leading Ilia through the ship were pretty moving. If I had to summarize any criticism with the writing overall, it's that none of the major ideas quite get the time and space to breathe that they should. Part of the problem is that so much of the film, by necessity, has to spend time both catching us up and setting up the problem. The other issue is that between Kirk, Spock, Decker/Ilia, and V'Ger, there's just a lot of storylines fighting for screen time. If this had been the two-hour premiere of a new series, maybe they could have dropped some of the storylines, knowing they could pick them up again later. As it stands, the underlying elements are all there and all good, but in the end, none of the them get the development they deserve. Matthew: Nimoy is the standout in this film. He gets the juiciest character scenes to chew on. Spock's conflict is the biggest in the film. He portrays the conflict between the final purging of emotion and the yearning for something more quite well. Kirk's character has the conflict of getting older, but Kirk really gets his day with this story thread in Star Trek II. Kevin: It's nice to know that none of the actors got rusty in the intervening years. Not that anyone not named Kirk, Spock, or McCoy got a ton of screen time, the few frames they were in all felt like they should. The only truly troubling development is McCoy's beard/bling combination that hints at a most interesting retirement. Matthew: Persis Khambatta was pretty good as Ilia in my book. She definitely had an "other" quality that made t he character exotic and interesting, and not just because she is Indian. I believed her in the role and took her seriously. The same goes for Stephen Collins as Decker. Matthew: The Enterprise refit is the great triumph of this movie. It may just be my favorite starship - though the D is pretty high up there as well. It is truly a beautiful design, instantly recognizable as still "being" the "real" Enterprise, but sleek and new and great to look at. This was truly a clinic in updating without offending or going off the deep end. Kevin: I agree it's the perfect example of converting something from television to movie while retaining the correct "feel." The scene itself is particularly full of win. You see it off in the distance and know what it is, but the slow flyby in the shuttle allows you to explore it in detail, and what detail there is. I've always loved the movie-era hull design that has individual hull plates in slightly different tones. It gives the ship a very real texture. In any other context, the scene would be comically too-long; they wisely shorten for a reuse in Wrath of Khan, but this was for the fans, and even non-fans would be hard pressed to deny the attractiveness of the design. I said in the podcast and I'll say it here, but take notes Berman and Braga, this is what a "valentine to the fans" looks like. Matthew: Other models of note include a nice Spacedock model (though not as stunning as Star Trek III's "mushroom" Spacedock), updated and highly detailed Klingon vessels, the refit cage for the Enterprise, and the Epsilon 9 space station. All look very good. It is obvious no expense was spared for this film's models. As far as makeup, we are introduced to a version of the new Klingon foreheads, leading to no end of fan questions and debates. I'm glad they did it, personally - it was a nice change from the silly fu-manchu look of TOS Klingons. Kevin: If anything, there was almost too much awesome detail and design. It was almost too much to take in over the course of the film, but aside from the individual design accomplishments, there's something of a victory lap in the artwork for this movie. It's a statement about what the design looks like when given the resources to match its ambition. The vital design elements of Star Trek are there, and all the budgeting in the world wouldn't compensate for their absence, so it's particularly satisfying to see them succeed on this scale. Matthew: As lovely as the exterior is, the interior Enterprise sets really sparkle, too. The bridge looks great. Engineering is complex and interesting, with some elements influencing later styles. The angular hallways will reappear in TNG, and for good reason. The rec room is a very large and interesting set. We get to see an EVA bay, as well, and EVA suits that are a definite upgrade over the bee-keeping helmets from TOS. Speaking of costumes, although I do enjoy these beige, ecru, mauve, and baby blue uniforms, kind of in the same way I enjoy avocado appliances, pink toilets, and shag carpets, they are not great. STII will see a distinct improvement in uniform style. 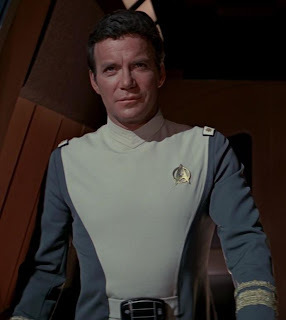 That said, I want Kelly to sew me a TMP uniform. Kevin: I will say I like the warmer color palette of the D, and I feel the colors for the ship and the uniforms are probably the one thing that really dates this movie. There are strong echoes of 2001 in the austerity of the design. That's not a criticism, the designs are quite good, but for me one of the things I always loved about TOS was the bold, saturated color scheme, and as Wrath of Khan will shortly demonstrate, that same approach looks awesome on the big screen. Matthew: The V'Ger cloud effects were well done. And done. And done. And dooooooone...... I am placing this criticism in the production values section because I doubt very much that the script had passages reading "and then we get a 20 minute cloud sequence with no dialogue and repeated reaction shots of the crew." Clearly, editing just sort of escaped the production team, probably for time constraints. The effects were done very late, and Wise himself expressed frustration at not having time to chop the effects sequences down to size. They really threaten to derail the whole film, and have led to many a wag calling this "The Slow-Motion Picture." Kevin: It's nothing short of heartbreaking how severe a flaw the overly long flybys of V'Ger are. There is almost nothing else wrong with this film, and absent this problem, it would stand toe-to-toe with WOK as both excellent film-making and excellent Star Trek. What we are left with is a group of sequences taken together render the middle third of the film uncomfortably close to unwatchable. Matthew: I felt Vulcan was a little lackluster. We are watching the theatrical cut on Blu-Ray for this review, which has the original effects, moon and all. The matte work is not great. The DVD edition of the Director's cut has some redone matte work in this scene and when the Enterprise saucer section opens up to let the crew off to V'Ger. I wish they had put that one on the Blu-Ray. Oh, well. Kevin: In the plus column, I liked what little we saw of Starfleet Command, especially the exteriors. The interiors felt a little too "late 70s office building," which they may have been. They're not bad, they just remind of my dentist's office. Matthew: I would be terribly remiss if I did not mention the wonderful musical score by Jerry Goldsmith. How well did he do? Well, does "creating the single most enduring piece of Trek music ever" sound impressive to you? It does to me. The heroic theme, later used for TNG's theme song, is very stirring, but in a Star Trek way - not militaristic, but not wussy, either. The famous "Klingon theme" also comes from Goldsmith's score. I really liked the Ilia/Decker love theme, as well. All told, it is probably the best Trek movie soundtrack, of only by a slim margin (Horner's STII score is very good, as is Goldsmith's First Contact). Kevin: I really loved the plucked bass-string cue for when an object was consumed by V'Ger. It's such an unexpected sound for a Star Trek production, it helped underscore the nature of the threat. Matthew: In the end, despite unevenness in pacing, brought about by crushingly long effects sequences, the characters and the high-minded plot salvage this one for me, and keep it above the fat part of the bell curve. It's a 4, in the sense of being in the upper quartile of Trek tales. A "low 4?" Maybe. But with a liberal application of the fast forward button, or at least 1.5x speed, the cloud sequences can be "edited" at home, leaving an effective tale of people and peril. Given the torturous path the script took, ping-ponging between TV and Film production, that it turned out as well as it did is miraculous. Certainly we'll see other films with script problems that fail much more spectacularly. TMP's failures are superficial ones, not deep, structural ones. Finally, let me say: Star Trek is not Star Wars. It doesn't need to be. We don't need shouting, shooting, explosions, and sword fighting in every frame of the picture. TMP is the exemplar of "think pieces." A little too think-y for some? Perhaps. But it feels like Star Trek. So I'm going to forgive it some flaws. Kevin: In the end, I think the movie's flaw can be attributed to a quintessential Star Trek quality: always trying to be better than you are. In every element of the film, the entire cast and crew are really striving to make something great and update Star Trek at the same time. When the first round of special effects were unsatisfactory, they redid them. The cost was not leaving themselves enough time to edit them. In the balance, I suppose I prefer too much of good effects than the right amount of crappy ones. Should they have committed themselves to a medium and an idea sooner? Sure. Should they have stopped trying to tinker with everything until, literally, the last minute? Yep. But come on...admit it, part of the reason we like Star Trek and we like the people responsible for it is that they do precisely that. The movie's ambition and heart is a clear 5, but we don't rate the movie they hoped for, we rate the movie they made. I agree with Matt's 4, for a total of 8. And what would a movie review here at Treknobabble be without a podcast? Between the movie and wrap-up commentary, this one clocks in at about two hours and twenty minutes. Enjoy, everyone! I'm glad someone (and you guys specifically) likes this one! It's actually my 2nd favorite of the movies. The middle portion of the list occasionally shifts based on what I ate that day. I found 2009 to willfully ignorant of Star Trek, but Nemesis felt actively contemptuous of the franchise. 4-7 are hair's breadth distinctions. Particularly picking between Generations and SFS. And like Matt said, thanks for reading and commenting. No slack. He's got all that TV money. He could have hired a real Trek writer on the cheap. Or a consultant at least. I'd bet dollars to donuts that the OKUDAS would have been happy to take a red marker to the script outlines. Your podcasts are down! I need my Treknobabble fix! Will you guys be putting them back up? 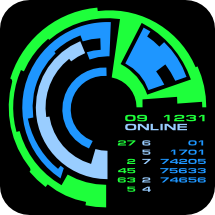 Section 31's IT people are looking into the problem now. Stay tuned.